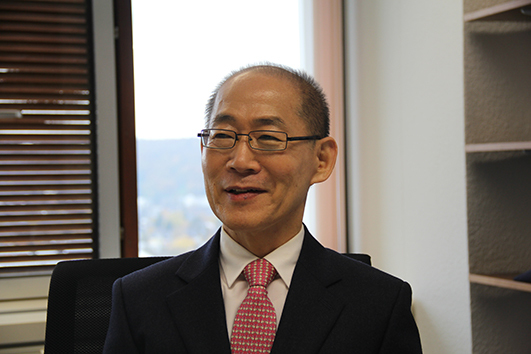 TIME magazine has named IPCC Chair Hoesung Lee to the 2019 TIME 100, its annual list of the 100 most influential people in the world. The list, now in its sixteenth year, recognizes the activism, innovation and achievement of the world’s most influential individuals. “This selection reflects the achievements of the whole IPCC. I am very pleased that the work of the IPCC has been recognized in this way. In particular, I believe that it's a recognition of the extraordinary achievement of the IPCC over the last thirty years, which has transformed the discussion of climate change around the world." said Hoesung Lee reacting to the news. TIME editors have said of the list in the past, “The TIME 100 is a list of the world's most influential men and women, not its most powerful, though those are not mutually exclusive terms. While power is certain, influence is subtle. As much as this exercise chronicles the achievements of the past year, we also focus on figures whose influence is likely to grow, so we can look around the corner to see what is coming." TIME's profile on Hoesung Lee is available here. Former IPCC author Michael Mann has been awarded the 2019 Tyler Prize for Environmental Achievement together with Warren Washington from the United States National Center for Atmospheric Research. The Tyler Tyler Prize for Environmental Achievement was established to recognise individuals who have contributed in an outstanding manner to scientific knowledge and public leadership to preserve and enhance the environment. 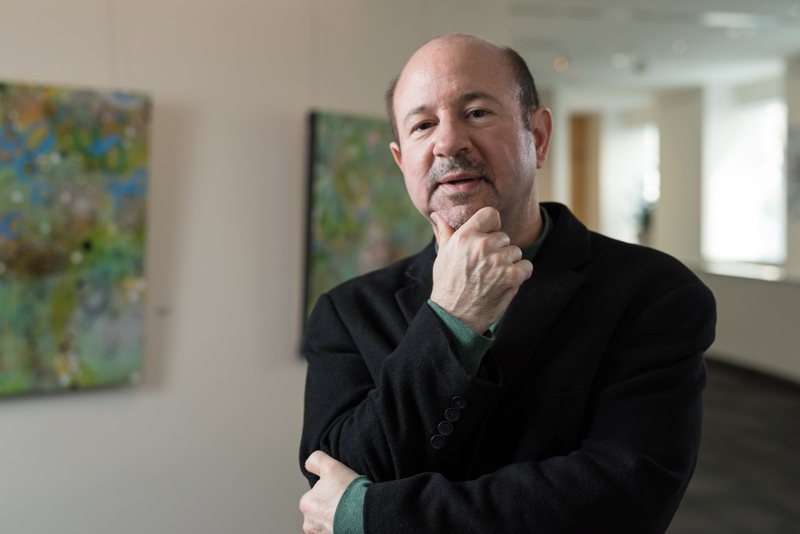 Mann received the award for his research in reconstructing the Earth's past climate and placing modern climate change in a long-term context, as well as for his communications and outreach efforts. He was a Lead Author of Chapter 2 of the Working Group I contribution to the IPCC Third Assessment Report in 2001 (which includes the well known temperature reconstruction or hockey stick graph) and a contributing author to several other chapters in the same volume. He was also an expert reviewer of the Working Group I contribution to the Fourth Assessment Report in 2007. Mann is Distinguished Professor of atmospheric science at Penn State University. For more information visit: www.tylerprize.org. Solomon was selected for her work in Antarctica that explained why the ozone layer was thinning. Through her research, she identified the mechanism for ozone destruction and the cause: chlorofluorocarbons. Chlorofluorocarbons are chemicals that were once widely used as refrigerants and aerosol propellants. Solving the ozone puzzle led governments to agree on a global solution to phase out the gases destroying the ozone layer and replace them with safer options in the Montreal Protocol. The Crafoord Prize of Geosciences is an annual award started by Swedish industrialist Holger Crafoord and his wife Anna-Greta Crafoord. The Royal Swedish Academy selects the Crafoord Laureates. Solomon and Manabe will share 6 million Swedish kronor, equivalent to about US$690,000. Edenhofer is the Chief Economist and Director of the Potsdam Institute for Climate Impact Research. As Co-Chair he jointly led the preparation of the Working Group III contribution to the Fifth Assessment Report, Climate Change 2014: Mitigation of Climate Change. 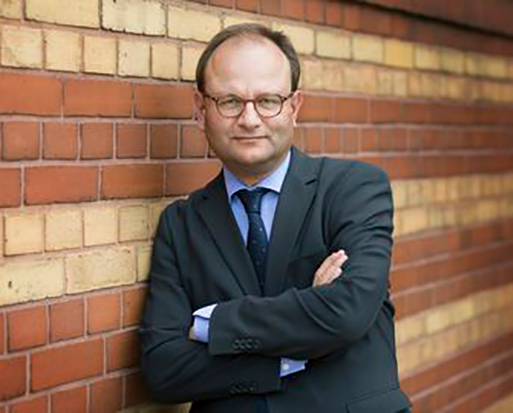 “As a renowned economist, committed political advisor, and public admonisher, Ottmar Edenhofer has restlessly pointed to climate change as one of the most pressing problems on Earth, and has proposed concrete solutions,” said the Catholic Academy in their citation. “Not least Pope Francis was seeking Ottmar Edenhofer's advice repeatedly and intensively for his encyclical Laudato Si'. Both are convinced that environmental degradation and poverty are closely intertwined problems that can only be resolved together in the concern about our common house,” the Academy added. Edenhofer is a member of Germany's Leibniz Association and directs the Mercator Research Institute on Global Commons and Climate Change. He is an advisor to the World Bank, European Commission and the German government. The award ceremony will take place in Munich, Germany, at the beginning of July 2018. James McCarthy, former IPCC Working Group II Co-Chair, has been awarded this year’s Tyler Prize for Environmental Achievement together with Paul Falkowski. James McCarthy and Paul Falkowski have been given the Prize “…for their decades of leadership in understanding - and communicating - the impacts of climate change” according to a press release from the University of Southern California who administer the Prize. The Tyler Prize was established in 1973 by the late John and Alice Tyler to recognize individuals who have contributed in an outstanding manner to the scientific knowledge and public leadership to preserve and enhance the environment. “Dr McCarthy’s pioneering research on marine nutrient cycles added significantly to our understanding of human activity on Earth’s climate. But scientific research cannot be of greatest benefit to human kind, unless it leads to improved policy. It was this that convinced Dr McCarthy to engage with some of the world’s best environmental researchers and international policy leaders, to assess the global impacts of climate change,” states the press release. At the IPCC, James McCarthy led Working Group II together with his Argentinian counterpart Osvaldo Canziani, and prepared Climate Change 2001: Impacts, Adaptation and Vulnerability, the Working Group II contribution to the Third Assessment Report. He was also a Lead Author on the Fourth Assessment Report among his other IPCC roles. 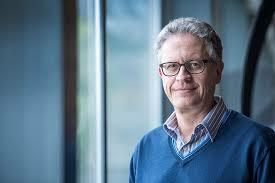 He is currently the Alexander Agassiz Professor of Biological Oceanography at Harvard University. The Tyler Prize will be officially presented at a ceremony in Washington D.C., USA, on 3 May 2018. Thomas Stocker, former Co-Chair of Working Group I of the Intergovernmental Panel on Climate Change (IPCC), has been awarded the 2017 Marcel Benoist Swiss Science Prize – popularly known as the “Swiss Nobel”. Stocker was awarded the prize for his work on climate modelling and ice core analysis, which demonstrated the reality of climate change and its resulting consequences. “In keeping with the objects of the Foundation, his research findings are of great importance to human life, and address one of the main challenges facing today’s society,” said the Marcel Benoit Foundation in its citation. The current head of the Climate and Environmental Physics Division of the Physics Institute of the University of Bern, Stocker is a key player in climate research on the national and international level. In his field, he is one of the most widely cited scientists in Switzerland, and he is the author and co-author of more than 200 scientific articles. Born in 1959, Stocker was elected in 2008 as Co-Chair of the IPCC’s Working Group I, which assesses the physical science basis of climate change. In this role he jointly led the preparation of the Working Group I contribution to the Fifth Assessment Report, which was finalized in 2013. The Deputy Executive Director of the United Nations Environment Programme (UNEP), Ibrahim Thiaw, visited the Secretariat of the Intergovernmental Panel on Climate Change (IPCC) in Geneva on 25 April 2017. UNEP jointly with the World Meteorological Organization (WMO) established the IPCC in 1988 to provide the world with a clear scientific view on the current state of knowledge in climate change and its potential environmental and socio-economic impacts. Before visiting the IPCC Secretariat, Deputy Executive Director Thiaw met with the Secretary General of the WMO, Petteri Taalas. 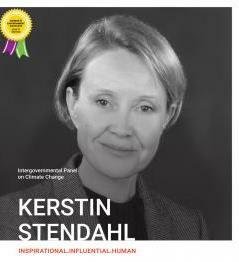 Kerstin Stendahl, Deputy Secretary of the Intergovernmental Panel on Climate Change, has received an award as a champion for gender equality in the field of environment on the occasion of International Women's Day on 8 March 2017. The award ceremony, chaired by the World Meteorological Organization Deputy Secretary-General Elena Manaenkova, was organized by the Geneva Environment Network (GEN) to recognize the commitment and contribution of Geneva-based individuals to the advancement and support of gender equality and women's empowerment in the field of environment. She has always worked on issues relating to international environmental law, governance and policy. Throughout her career, at national, regional and international levels she has devoted particular attention to gender issues, by highlighting and developing training opportunities and award schemes as well as emphasizing gender aspects of recruitment policies and practices and in day-to-day work. Kerstin Stendahl started at the Ministry of the Environment in Finland in the summer of 1992, right after the first Rio conference on sustainable development. She has worked on forest biodiversity issues in the Secretariat of the Convention on Biological Diversity in Montreal and on environmental economics as well as genetic resources for food and agriculture for the Nordic Council of Ministers. She also made a foray into the field of environmental science/policy issues as a Scientific Advisor with the Academy of Finland. In 1996 she was elected one of three co-chairs for the intergovernmental process on synergies among the Basel, Rotterdam and Stockholm conventions as part of her dossier on the strengthening of international environmental governance. In 2012 she took up office as Deputy Executive Secretary of the Basel, Rotterdam and Stockholm conventions. At the beginning of 2017 she moved to the Intergovernmental Panel on Climate Change. For more details visit the Geneva Environment Network website. Abdalah Mokssit has accepted an offer to become Secretary of the Intergovernmental Panel on Climate Change (IPCC) starting on 1 July 2016. This is a staff member position at the IPCC Secretariat based in Geneva, Switzerland. Mr Mokssit is the current Director of the National Meteorological Service of Morocco and the Third Vice-President of the World Meteorological Organization (WMO). He is a former Vice-Chair of IPCC Working Group I, which deals with the physical science basis of climate change. Click here to see the news announcement on the WMO website and here on the UNEP website. John R. Porter, a Coordinating Lead Author on the Fifth Assessment Report of the Intergovernmental Panel on Climate Change (IPCC), has been awarded the French Order of Agriculture Merit. Porter was given the honour in March 2016 in Copenhagen, Denmark, in recognition of his extensive work in the field of agriculture and climate change including work on the Fifth Assessment Report, which informed the UN Framework Convention on Climate Change (UNFCCC) Paris Agreement. France’s Ministry of Agriculture established the Order in July 1883 to honour people who have made exceptional contributions to agriculture whether through research or in practice. In his acceptance speech Porter talked about the success of the UNFCCC COP 21 meeting which resulted in the Paris Agreement. “COP21 was a huge success for the French government; M. Laurent Fabius conducted the negotiations with tact, humour, expertise and enormous diplomatic skill; President Hollande made a very rousing speech on the need fundamentally to change the basis of our global energy system. To see that our efforts as authors of the 5th IPCC assessment report, which formed the scientific bedrock of the COP21 negotiations, was very rewarding and a highlight of my career,” Said Porter. Based in the Department of Plant and Environmental Sciences of the University of Copenhagen, John R. Porter was one of the Coordinating Lead Authors of Chapter 7 – “Food security and food production systems” - of the Working Group II contribution to the Fifth Assessment Report. Among his other achievements, Porter has also served on the Science Council of the French National Institute for Agricultural Research (INRA), supporting the development of INRA’s scientific strategy over many years. 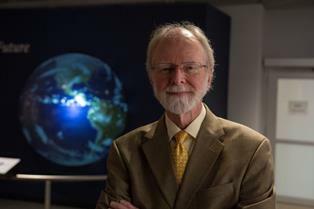 Christopher Field, Co-Chair of the Intergovernmental Panel on Climate Change (IPCC) Working Group II, has been awarded the fifth Stephen H. Schneider Award for Outstanding Climate Science Communication. Established in honour of renowned scientist Stephen Henry Schneider who died in 2010, the award is given to a natural or social scientist who has made extraordinary scientific contributions and communicated that knowledge to a broad public in a clear and compelling manner. Chris Field is the founding director of the Global Ecology department of the Carnegie Institute where he has worked since 1984. He is one of the Co-Chairs for the Working Group II of the IPCC which deals with impacts, adaptation and vulnerabilities related to climate change. 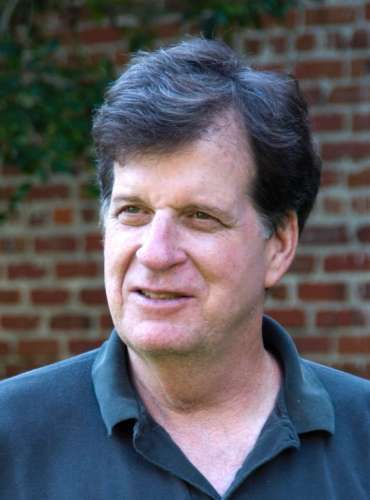 He has published over 300 publications and is also the Melvin and Joan Lane Professor for Interdisciplinary Environmental Studies at Stanford University. The Schneider Award will be given to Chris Field on 15 December 2015 by Climate One at The Commonwealth Club in San Francisco, USA. Climate One is a special project of the Commonwealth Club that seeks to foster wide-ranging discussions on environmental, energy, and climate change issues, and make these discussions available to a broad range of people around the world. Field’s other awards include the Heinz Award; the Max Plank Research Award; the BBVA Foundation Frontiers of Knowledge Award and the Roger Revelle Medal. IPCC reports contain a huge amount of information. It can be difficult to navigate through this material to find what you are looking for. This is particularly true of the Synthesis Report. The Synthesis Report, as its name implies, distils and integrates the findings of the full IPCC Fifth Assessment Report. Although it’s a concise document of about 130 pages, it also references the three IPCC Working Group contributions released between September 2013 and April 2014, totalling some 4,700 pages in all, and assessing over 30,000 scientific papers. As part of its efforts to make its products more accessible, the IPCC has developed a new website for the Synthesis Report. This includes a clean, user-friendly design that makes it easy to navigate around the Synthesis Report itself, and simple to generate social media based on the content. An important feature is that references to the full Working Group contributions are live links taking users to that material. For this purpose the Synthesis Report and Working Group reports have been converted to HTML to speed up the download in locations with limited bandwidth or for users on mobile devices. Users should bear in mind that the official IPCC reports are the PDFs already on the main IPCC website or available in print, and that these new pages are intended to help non-specialist users navigate easily around the Fifth Assessment Report. The new website includes links to the original Synthesis Report PDFs. Users who want to download high-resolution IPCC figures in the original quality should go to the official PDF versions. The IPCC would welcome feedback on this website. Please send it to ipcc-media@wmo.int . Please report any divergences between this digital version and the official versions of the report to ipcc-sec@wmo.int . I have reached mandatory retirement age and therefore I will leave the IPCC Secretariat at the end of May 2015. It was a pleasure and privilege to serve the IPCC as Secretary and I want to thank everyone who has supported the IPCC and me over the past years. I wish the IPCC a very successful continuation of its important assessment work. The Bureau of the Intergovernmental Panel on Climate Change (IPCC) agreed on Tuesday, in accordance with its procedures, to designate Vice-Chair Ismail El Gizouli as Acting IPCC Chair. 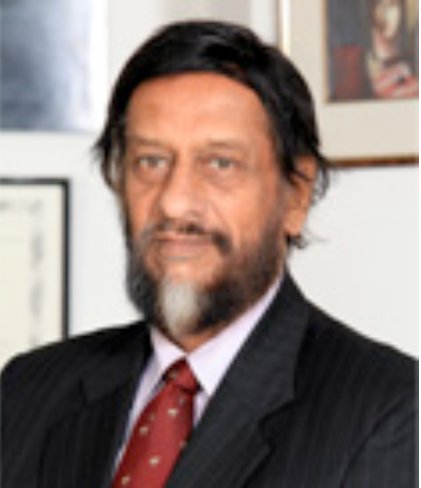 The designation of Gizouli follows the decision by Rajendra K Pachauri, PhD, to step down as Chairman of the IPCC effective today. In line with the IPCC Communications Strategy, which encourages the IPCC to provide communication products in the official UN languages to the extent possible, we are pleased to announce that the IPCC website now has new language pages which can be accessed from the Languages drop-down menu on the top right-hand corner of the IPCC home page. The American Geophysical Union (AGU) has announced that Christopher Field, Co-Chair of IPCC Working Group II, has been awarded the prestigious Roger Revelle Medal. The AGU awardees are honoured for their accomplishments in "advancing Earth and space science and their outstanding contributions and service to the scientific community". This year the Award Ceremony will take place on 17 December during the AGU Honors Tribute in San Francisco. Chris Field is the founding director of the Carnegie Institution's Department of Global Ecology, Melvin and Joan Lane Professor for Interdisciplinary Environmental Studies at Stanford University, and Faculty Director of Stanford's Jasper Ridge Biological Preserve. He has previously received the Heinz Award, the Max Plank Research Award, and the BBVA Foundation Frontiers of Knowledge Award. The Intergovernmental Panel on Climate Change (IPCC) Scholarship Programme received new contributions from individuals in 2013 and in early 2014. In January 2014, Hoesung Lee, one of the three Vice-Chairs of the IPCC, and his wife Mrs Sungna Chung, contributed to the IPCC Nobel Peace Prize Fund, a fund used solely for the purpose of scholarship awards to the young climate scientists under the IPCC Scholarship Programme. In October 2013, another IPCC Vice-Chair, Professor Jean-Pascal van Ypersele, also made a donation to the Fund. The IPCC Scholarship Programme was established with the funds received from the 2007 Nobel Peace Prize award to the IPCC. The first funding partner of the Programme was Gro Harlem Brundtland, former Norwegian Prime Minister and UN Special Envoy on Climate Change. Dr Brundtland made her donation from the Tallberg Leadership Award, which she received in June 2009. The IPCC welcomes contributions to the scholarship programme and is happy to provide further information to prospective funding partners. For more information on the Scholarship Programme visit the IPCC Scholarship Programme page. Dr. Christopher Field, Co-Chair of the Working Group II of the Intergovernmental Panel on Climate Change (IPCC), has been awarded the 2013 BBVA Foundation Frontiers of Knowledge Award in the climate change category. The jury said the award recognizes Dr. Field’s fundamental contributions to understanding the interactions between the dynamics of plants and land ecosystems and CO2 released through human activities. “His visionary research on the global carbon cycle demonstrated that projections of future climate require the explicit consideration of land ecosystems and their management,” the jury added in a citation. Dr. Field is the founding director of the Carnegie Institution's Department of Global Ecology, Professor of Biology and Environmental Earth System Science at Stanford University, and Faculty Director of Stanford's Jasper Ridge Biological Preserve. The author of more than 200 scientific publications, Dr. Field’s research emphasizes impacts of climate change, from the molecular to the global scale. His work includes major field experiments on responses of California grassland to multi-factor global change, integrative studies on the global carbon cycle, and assessments of impacts of climate change on agriculture. The BBVA Foundation Frontiers of Knowledge Awards seek to recognize and encourage world-class research and artistic creation, prizing contributions of broad impact for their originality and theoretical significance. The BBVA Foundation is part of the corporate social responsibility arm of the Banco Bilbao Vizcaya Argentaria (BBVA Group) - a multinational Spanish banking group. Previous recipients of the same award include U.S scientist and former IPCC Working Group I Co-Chair Susan Solomon. On 21 October 2013, the Volvo Environment Prize Foundation announced that Dr. Qin Dahe, Co-Chair, IPCC Working Group I, has been awarded the 2013 Volvo Environment Prize. As indicated in the prize citation, "Throughout his very distinguished career, Dr Qin Dahe has made outstanding contributions to the scientific understanding of the climate, both in his own country of China and at the global level. He has generated an exceptional body of research on the dynamics of glaciers and ice sheets, an important component of the climate system. (…) Building on this impressive scientific base, Dr Qin has played a leading role the pre- eminent assessment body for climate change, the Intergovernmental Panel on Climate Change (IPCC). He first became involved in the IPCC with its Third Assessment Report, published in 2001, and then assumed the prestigious leadership role of co- Chair of Working Group 1 (Science) of the Fourth Assessment Report, released in 2007. He has continued in this role in the Fifth Assessment Report, due to be released in October 2013. (…) One of Dr Qin's most important contributions to climate policy was his leadership role in the IPCC's Special Report on Climatic Extremes, published in 2012." He is the first Chinese laureate. The Volvo Environment Prize is awarded for "Outstanding innovations or scientific discoveries which in broad terms fall within the environmental field", and is awarded by an independent foundation, which was instituted in 1988. Over the last two decades the Volvo Environment Prize has become one of the scientific world's most respected environmental prizes. Since the first award in 1990, the prize has gone to 40 people. Laureates represent all fields of environmental and sustainability studies and initiatives. Among them are many well-known names and three Nobel Prize winners. Press release from the Volvo Environment Prize Foundation (Oct 21, 2013). Rajendra K. Pachauri, Chairman of the Intergovernmental Panel on Climate Change (IPCC), has been awarded the Pico della Mirandola Prize in its international category for his work on climate change and sustainability challenges with the IPCC, the Energy and Resource Institute (TERI) and other national and international organizations. 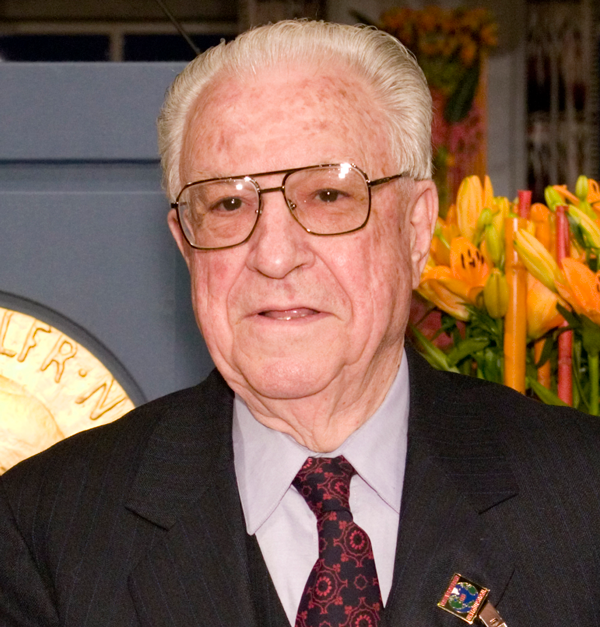 Past winners in the prize’s international category include former International Monetary Fund Managing Director Michel Camdessus; former European Commission President Jacques Delors; Nobel Economics Laureate (2006) Edmund Phelps; and Colombian artist and sculptor Fernando Botero. The prize is named after Italian Renaissance philosopher Giovanni Pico who wrote a defining text of Renaissance humanism, the Oration on the Dignity of Man, which is known as the ‘Manifesto of the Renaissance’. The award recognizes personalities who contribute a humanistic approach to knowledge in the spirit of Pico’s work. A biennial event, the prestigious Italian prize is awarded across artistic, cultural, social, economic, financial and entrepreneurial categories and is presented in international, national and local sections. Two scientists associated with the Intergovernmental Panel on Climate Change (IPCC) have been awarded one of Germany’s most prestigious prizes. IPCC Working Group II Co-Chair Christopher Field and Markus Reichstein, a lead author on the IPCC's Special Report on Managing the Risks of Extreme Events and Disasters to Advance Climate Change Adaptation (SREX) have been jointly awarded the Max Planck Research Prize. Field and Reichstein received the prize "because they have significantly increased our knowledge of how life on Earth responds to climate change and what reactions can be anticipated between the biosphere and the atmosphere… their work also helps us to estimate the consequences of climate change for the people of the planet," the Max Planck Society said. Field is the founding director of the Department of Global Ecology at the Carnegie Institution for Science and holds two professorships at Stanford University. He studies how photosynthesis correlates with light absorption to estimate the amount of biomass that plants build up, which is the experimental basis for his global modeling of biogeochemical and ecological relationships to determine the effect of climate change on the biosphere. He is one the two Co-Chairs of IPCC Working Group II, which deals with impacts, adaptation and vulnerability. He was also a Coordinating Lead Author of the Working Group II contribution to the IPCC's Fourth Assessment Report. Reichstein, who heads the Department of Biogeochemical Integration at the Max Planck Institute for Biogeochemistry in Jena, served as one of the Lead Authors of Chapter 3 of SREX on changes in climate extremes and their impacts on the natural physical environment. The Max Planck Research Prize is funded by the German Ministry of Education and Research. It is conferred annually to two internationally renowned scientists, one who works in Germany and another who works in another country. Two past and present IPCC Bureau members have won the 2012 Vetlesen Prize for their work on the ozone hole and ice cores. Susan Solomon, Co-Chair of Working Group I from 2002 to 2008, and Jean Jouzel, Vice-Chair of Working Group I since 2008, share the $250,000 award, considered to be the earth sciences equivalent of a Nobel Prize. "Earth Science is a collective enterprise, and transformational advances are the product of many authors," said the Vetlesen Prize committee's citation. "Both nominees have made leading and fundamental contributions to climate science." Solomon was honoured for her work in identifying the cause of Antarctica's springtime ozone losses, which helped bring about a global ban on manmade ozone- depleting chemicals. Jouzel has extracted the longest-yet climate record from polar ice cores, charting temperatures in Antarctica for the past 800,000 years. Solomon, currently Ellen Swallow Richards Professor of Atmospheric Chemistry and Climate Science at the Massachusetts Institute of Technology, has also been awarded the fifth BBVA Foundation Frontiers of Knowledge Award in the climate change category. 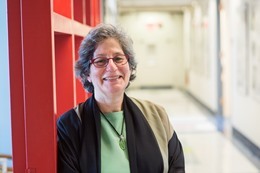 Solomon received the award for her work on determining how human action alters the composition of the atmosphere and how, in turn, these changes affect Earth's climate. The award citation states that Solomon "has contributed, through her research and leadership, to the safeguarding of our planet." The Intergovernmental Panel on Climate Change (IPCC) has learnt with great sadness of the death of Dr. James Michael Penman, a member of the Bureau of the IPCC’s Task Force on National Greenhouse Gas Inventories from 1999 to 2015. Jim Penman, an outstanding scientist with over thirty years of national and international experience in science, energy and environment, died aged 66 on 8 September 2016 from injuries sustained after a cycling accident. Dr. Penman will be remembered as one of the first members of the Task Force Bureau, where he played a key role in the work of the Climate Panel’s Task Force on National Greenhouse Gas Inventories. His soft, constructive and reasoned views in Task Force work were highly respected by all the Task Force Bureau members and experts who participated in Task Force activities. He was the Interim Co-Chair of the Task Force Bureau’s first session in 1999, and continued as a Bureau member till 2015. He co-chaired the project that produced the IPCC Good Practice Guidance and Uncertainty Management in National Greenhouse Gas Inventories published in 2000. He was a member of the steering group that produced the IPCC’s Good Practice Guidance for Land Use, Land-Use Change and Forestry published in 2003. Jim was a member of the steering group that produced the 2006 IPCC Guidelines for National Greenhouse Gas Inventories, which Annex I Parties to the UNFCCC use to estimate emission and removals of greenhouse gases in their national inventory submissions. 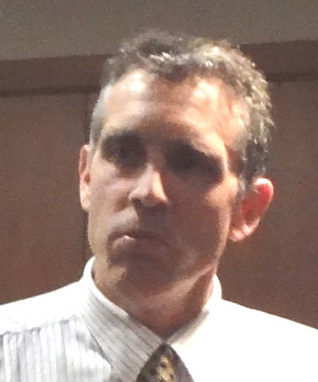 Jim was also one of the leading members of the group that led the production of the Climate Panel’s latest Methodology Reports: the 2013 Supplement to the 2006 IPCC Guidelines for National Greenhouse Gas Inventories: Wetlands and the 2013 Revised Supplementary Methods and Good Practice Guidance Arising from the Kyoto Protocol. He was awarded an OBE (Officer of the Most Excellent Order of the British Empire) in 2009 in recognition of his work on establishing the United Kingdom emissions mitigation evidence base, and in international negotiations. He will be greatly missed by the scientific community both in the UK and internationally. His family created a Just Giving fund in his honour to raise money for UNICEF. It is with great sorrow that the Intergovernmental Panel on Climate Change (IPCC) has learnt of the death of one its most distinguished contributors, Osvaldo Canziani, who passed away on 29 October 2015. A renowned Argentinian meteorologist, Osvaldo Canziani was first involved in the IPCC in 1991 after his government nominated him to be his country’s representative on the Panel. During the Sixth Session of the IPCC that was held in Geneva in October 1991, Dr Canziani was elected as a Vice-Chair of Working Group II. In the years that followed he would go on to become one of the Co-Chairs of Working Group II and oversaw the production of the Working Group’s contributions to the Third and Fourth Assessment Reports. His international career began in 1955 when he joined the International Civil Aviation Organization as an expert. In May 1968 he moved to Geneva, Switzerland where he joined the World Metrological Organization as a director of the organization’s Latin America regional office where he worked until July 1981. At 92, Dr Canziani was still working as an international consultant on atmospheric and environmental issues and was involved in outreach efforts on climate change. He was vice-president of the Argentinean chapter of the Club of Rome and a member of the Executive Committee of Argentine Academy of Environmental Sciences. He was a professor at the National University of Buenos Aires and the Argentine Catholic University among others. Canziani was a member of various national and international boards including the Permanent Court of Arbitration in The Hague, the Argentine Institute of Water Resources and the Argentine Society of Medicine for the Environment. He was born in 1923 in Buenos Aires, Argentina. He will be greatly missed by the IPCC family and the international climate change community. It is with great sadness that the Intergovernmental Panel on Climate Change (IPCC) has learnt of the sudden death of JoAnn Carmin on 15th July 2014. Professor Carmin was a Lead Author of Chapter 14 on “Adaptation needs and options” of the Working Group II contribution to the IPCC Fifth Assessment Report. She was an Associate Professor in the Department of Urban Studies and Planning at the Massachusetts Institute of Technology (MIT) and an internationally-renowned scholar of the institutional and societal dimensions of environmental governance. Her research focused on urban climate adaptation with particular attention to the question of why cities pursue climate adaptation planning, how adaptation activities are mainstreamed, and in what ways local. 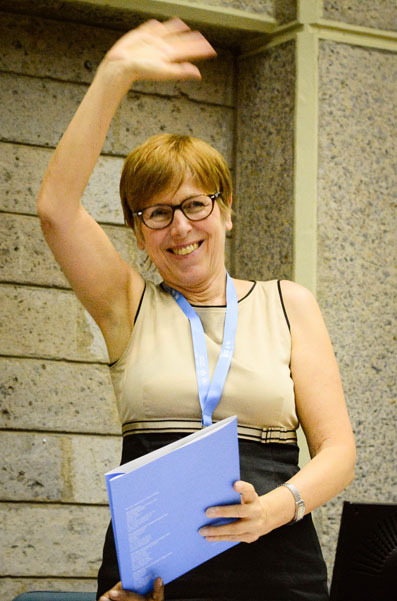 JoAnn Carmin will be greatly missed by her colleagues and fellow authors in the IPCC. The MIT Department of Urban Studies and Planning has created a page on their website for people to leave remembrances about JoAnn. Please click here to see the MIT webpage. It is with great sadness that the Intergovernmental Panel on Climate Change (IPCC) has learnt of the sudden death of Dr. Arie Kattenberg on 19 May 2014 at the age of 65. Arie Kattenberg worked for the Technical Support Unit of the IPCC-WGI Second Assessment Report, he has been secretary of the IPCC coordination group of the Netherlands, and he has participated in several IPCC sessions. At the Royal Netherlands Meteorological Institute (KNMI) he has worked as Senior Policy Advisor Climate, as Head International Relations, and as a climate scientist. He retired in 2013, but he was still very active in the climate field. It was at a workshop on data rescue in Indonesia where he suddenly deceased. We remember Arie Kattenberg as a really nice and competent colleague. The Intergovernmental Panel on Climate Change is greatly saddened to announce the loss of one of its most distinguished friends and long-serving contributors. Yuri Antonievich Izrael, an outstanding scientist in the fields of nuclear geophysics, atmospheric physics, oceanology, and applied ecology and climatology, died on 23 January 2014. Professor Izrael will be remembered for proposing and introducing a new concept into science: comprehensive monitoring of the environment. 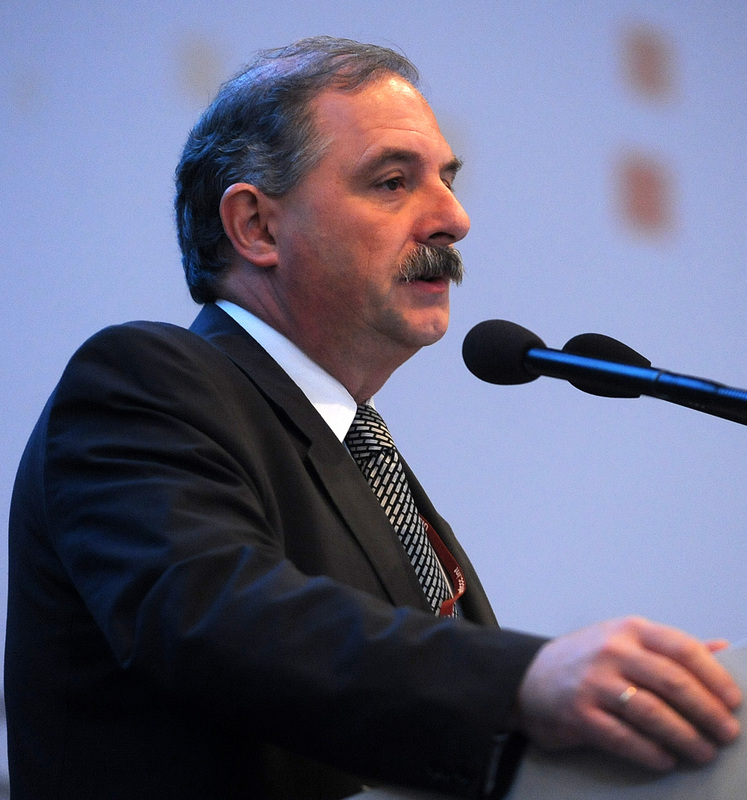 From the establishment of the IPCC, Professor Izrael served as national coordinator of IPCC-related issues in the USSR and subsequently Russia; for 20 years he was a member of the Bureau of the IPCC. At the First Session of the Panel (Geneva, 9-11 November 1988), Professor Izrael was appointed Chair of Working Group II. The Working Group was tasked with viewing the environmental and socio-economic impacts of climate change in an integrated manner. Its report The IPCC Impacts Assessment was finalized in May 1990 in Moscow and formed part of the first IPCC Assessment Report. At the 8th Session of the IPCC (Harare, Zimbabwe, 11-13 November 1992), Professor Izrael was elected IPCC Vice-Chair, a position he held until 2008. In his 20 years of involvement with the IPCC as member of the Bureau, Professor Izrael was an advocate of scientific excellence. He emphasized the importance of observational networks and comprehensive monitoring of environmental changes and the need for long-term scenarios of climate change and possible impacts. He was also instrumental in shaping the IPCC’s processes and procedures: he highlighted potential weaknesses in the processes and was a strong supporter of the participation of experts from all regions of the world in the IPCC’s work. Until the end of his term in the IPCC Bureau he proved to be a strong source of support and ensured the development of a robust fourth Assessment Report. Professor Izrael was a member of the IPCC delegation in Oslo when the IPCC received the 2007 Nobel Peace Price together with former U.S. Vice-President Al Gore. Professor Izrael devoted special attention to environmental sciences, meteorology and climatology and to his work in international organizations, particularly the World Meteorological Organization (WMO). He was Vice-President of the WMO for 12 years. He participated in the formulation of the new World Climate Programme and its climate change impacts component. His wide interests in the field of ecology and protecting the human environment and oceans are embodied in his monographs Ecology and Control of the Natural Environment and Anthropogenic Ecology of the Ocean. In 1990, Professor Izrael established the Institute of Global Climate and Ecology and was its director until 2011. From 1996 until 2002, he served as academic secretary of the Department of Oceanology, Atmospheric Physics and Geography of the Russian Academy of Sciences. In the last few years, he continued to work as a senior research fellow of the Institute he had set up and as adviser to the Russian Academy of Sciences. All of us who had the privilege of working with Professor Izrael will greatly miss his thoughtful advice. He was unstinting in sharing his wisdom. Yuri was also a generous and warm personality and we will greatly miss his friendliness and his sense of humour. It is with great sadness that the Intergovernmental Panel on Climate Change (IPCC) has learnt of the sudden death of Huang Luxin on 1 June 2013 at the age of 48. Huang Luxin was a Lead Author for IPCC Working Group III in the current assessment cycle. He contributed to Chapter 12 on Human Settlements, Infrastructure and Spatial Planning. During this time, he was the director of the Department of International Cooperation and Development at the China Academy of Urban Planning and Design (CAUPD) in Beijing, where he worked for the past 27 years. Born in 1965, Huang Luxin received his Bachelor’s degree in Landscape Architecture from Tongjin University, Shanghai, and his Master of Science in Urban Planning from the University of Hong Kong. He was Secretary-General of the Academic Committee of Foreign Studies in Urban Planning (ACoFSUP), a member of the Editorial Board of the Journal of Urban Planning International, as well as board member of the Urban Planning Society of China (UPSC) and the Pacific Rim Council of Urban Development (PRCUD). Luxin will be greatly missed by his colleagues and fellow authors in the IPCC. 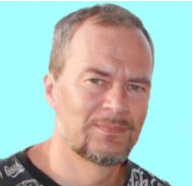 It is with great sorrow that the Intergovernmental Panel on Climate Change (IPCC) has learnt of the death of Dr Andrey Shmakin who passed way on 28 June 2013 aged 51 as a result of injuries he sustained from a car accident. Dr Shmakin was one of the Lead Authors of the IPCC’s Special Report on Renewable Energy Sources and Climate Change Mitigation (SRREN). Dr Shmakin was born on 5 October 1961, in Leningrad, USSR (now St. Petersburg, Russia). In 1983 he graduated from the Meteorology and Climatology Department in the Division of Geography at Moscow State University. He did his army service from 1983 to 1985. In 1985 Dr Shmakin joined the Institute of Geography of the Russian Academy of Sciences where he worked until his death. He became a research scientist in 1989 and was appointed head of the institute’s Laboratory of Climatology in 2003. In 2012 he was elected Corresponding Member of the Russian Academy of Sciences. Dr Shmakin was also a member of the Committee on System Analysis of the Russian Academy of Sciences, and of the Meteorology and Atmospheric Sciences section of the National Geophysical Committee of Russia. He was the Russia’s national delegate to the International Committee on Antarctic Research as well as a member the editorial board of the scientific journal Ice and Snow. Andrey will be greatly missed by his colleagues in the IPCC, fellow authors and colleagues at the Russian Academy of Sciences. It is with deep sorrow that the Intergovernmental Panel on Climate Change (IPCC) has learnt of the death of Ms Tuija Lapveteläinen, who passed away on Wednesday, 3 July 2013, aged 38. Tuija Elina Lapveteläinen was one of the Lead Authors of the draft 2013 Supplement to the 2006 IPCC Guidelines for National Greenhouse Gas Inventories: Wetlands (Wetlands Supplement) which will be released at the end of October 2013. Tuija Lapveteläinen specialized in land use, land-use change and forestry issues of the United Nations Framework Convention on Climate Change (UNFCCC) in the greenhouse gas inventory unit of Statistics Finland where she worked. She contributed significantly to the work of the IPCC, especially to its Task Force on National Greenhouse Gas Inventories. Tuija Lapveteläinen is survived by her husband and their two small children. She will be greatly missed by the IPCC, her fellow authors, and colleagues at Statistics Finland. In this picture Tuija Lapveteläinen is seen at the first Lead Author Meeting on the Wetlands Supplement in Hayama, Japan (1-3 November 2011). It is with great sadness that the Intergovernmental Panel on Climate Change (IPCC) has learnt of the death of Dr Asbury (Abby) Sallenger, who passed away on 5 February 2013. A leader in America’s research on the causes and effects of sea level rise, Dr Sallenger was one of the Lead Authors of Chapter 5 of the Working Group II contribution to the IPCC’s forthcoming Fifth Assessment Report, on coastal systems and low-lying areas. A coastal geologist by profession, Dr Sallenger was a primary architect of the coastal programme for the United States Geological Survey. During his carrier he wrote and co-authored various research papers on changes in the shore line. His strong desire to communicate science led him to publish the book Island in a Storm, about a young woman during a hurricane that struck Louisiana in 1856, that also talks about predictions of what lies ahead for coastal areas in a climate change era. Dr Sallenger was 63 years old. He is survived by his wife Delores, son Asbury the 3rd and daughter Ashby. The Intergovernmental Panel on Climate Change is greatly saddened to learn of the death of Dr Leonard Brown, who passed away on 3 February 2013. Len was an active member of the Bureau of the IPCC Task Force on National Greenhouse Gas Inventories (TFI) from September 2008 until he retired from New Zealand’s Ministry for the Environment in September 2012. His work on inventories and in climate negotiations won him international respect. Len was born in 1966. He is survived by his wife Pam and two children Nina and Frasier. In the picture, Len is seen at a TFI Bureau meeting held in Wellington, New Zealand, in 2011. The Intergovernmental Panel on Climate Change is sorry to learn of the death of Daniel Martino. Dr Martino was a Coordinating Lead Author of the chapter on agriculture in the Working Group III contribution (mitigation of climate change) to the IPCC’s Fourth Assessment Report, published in 2007. Among his other work for the IPCC, Dr Martino was a Lead Author on the Technical Paper on Climate Change and Water, published in 2008. Dr Martino also contributed greatly to the work of the Task Force on National Greenhouse Gas Inventories, serving as a Lead Author on several chapters of its 2006 Guidelines and as a Lead Author on Chapter 4 of the 2003 Good Practice Guidance on Land Use, Land Use Change and Forestry (LULUCF). At the time of his death he had been nominated as an author for the 2013 Good Practice Guidance on LULUCF. In the attached photo, Dr Martino is shown addressing the Bonn climate talks in April 2009, noting that two thirds of the mitigation potential in agriculture is in developing countries. Dr Martino was a partner, founder and executive director of the Uruguayan company Carbosur, which specializes in offering services in climate change, especially mitigation. The world of climate science lost one of its greatest minds and strongest voices on July 19 with the death of Steve Schneider. Steve, who was 65, was a major contributor to the IPCC and one of its fiercest supporters. He was looking forward with enthusiasm to serving as a coordinating lead author for the Fifth Assessment Report.